Mercedes won 19 of 21 races, the most victories in a season for a single team and in terms of losing only two races to their opposition it was the team’s most successful of the three seasons under the hybrid turbo rules. Now we need to change the record and hopefully next season will bring that change. Next year there will be new technical rules in F1, making the cars wider, faster and putting the emphasis back on the aerodynamics and less on the engine; that should mean that Red Bull come to the fore as a competitor to Mercedes for wins and the championship. But in terms of the season just ended, Nico Rosberg edged out Lewis Hamilton on points to win the championship for the first time and then promptly retired! 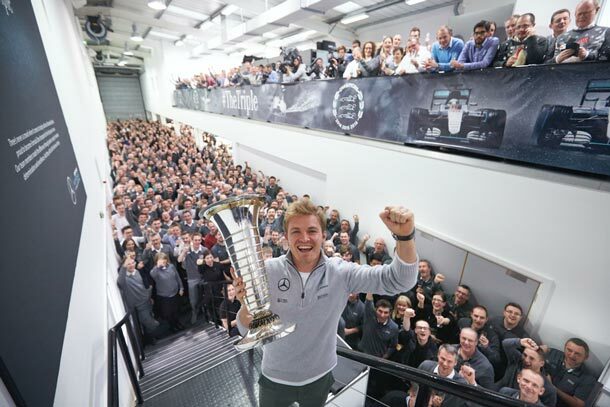 Rosberg’s success owed a lot to consistency and a little bit to luck as well. He had no major reliability issues, whereas Hamilton suffered a series of setbacks with his engine early in the season, which affected his qualifying primarily. Later in the season, just after the Singapore Grand Prix, Hamilton suffered an engine failure during the Malaysian Grand Prix when he was on target to win the race and score 25 points. That failure was especially painful as Rosberg had spun on the opening lap and was fighting his way back through the field, so a win that day would have put Hamilton in a very strong position for the championship. But reliability wasn’t the only reason Hamilton lost the championship; he also had problems of his own making with the race starts. He struggled more than Rosberg to master the new single clutch systems and lost ground at the start on a number of occasions in particular Bahrain, Italy and Japan. This cost him many points. There were also a few races where he was off form, like Baku, Singapore and Japan. Rosberg was more consistent across the season and with Mercedes’ car having a performance advantage at most venues, that was enough to bring him second place even on days when Hamilton outclassed him. Rosberg’s highlight was his pole and win in the Singapore GP, the best drive of his career and the race, which proved the turning point in the championship. 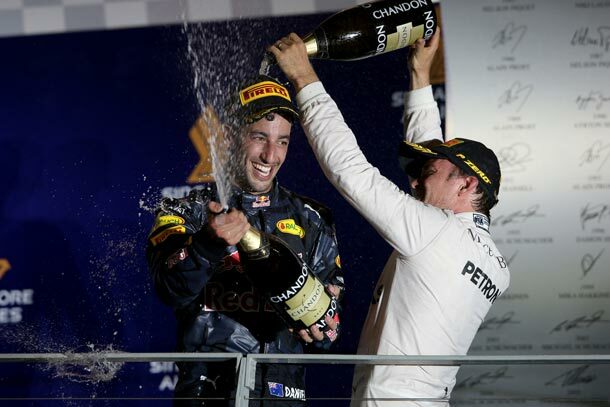 Behind the Mercedes battle, Red Bull regained their position as best of the rest with two victories. 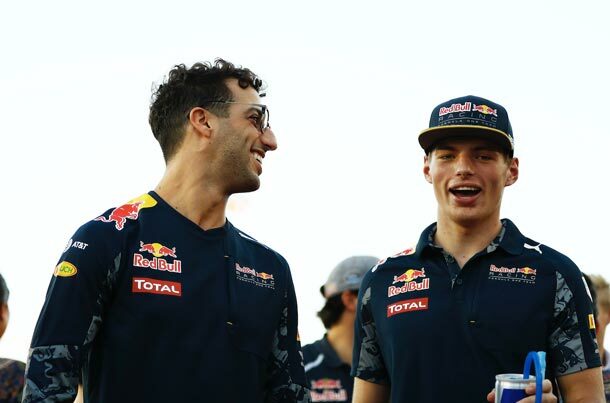 Daniel Ricciardo won in Malaysia, while Verstappen won on his Red Bull Racing debut in Spain. Ricciardo was unlucky not to win in Monaco, having dominated the race from pole position, his team made a terrible mistake in the pit stops and it cost him the win to Hamilton. Verstappen was a revelation and his drive in the rain in Brazil was one of the great wet weather performances of the last 20 years in F1. He finished third rather than second because his team messed the strategy up, but it made for a thrilling climax to the race as he raced back through the field after dropping down due to two additional pit stops. The Dutch driver, who became the youngest ever F1 winner aged 18, when he won in Barcelona, made 78 passing moves during 2016, according to data calculated by Pirelli. That is the most since records began in 1983. It was a year to forget for Ferrari. The team failed to win a race for the second time in three seasons and they didn’t get close to qualifying a car on the front row of the grid. Ferrari’s challenge faded as the season went on and Red Bull moved ahead of them on pure performance. The bright side was Kimi Raikkonen rediscovering his touch, helped by the switch of front suspension layout. There was more upheaval behind the scenes as technical director James Allison left after a difference of opinion with Ferrari chairman Sergio Marchionne. Force India had a great year, beating Williams to finish fourth in the Constructor’s championship for the first time, while the new US owned Haas F1 team had a dream start with points for Romain Grosjean in two of the first three races. It was a very good, if not a great season, but 2017 promises to be on another level and we are likely to see the most dramatic Singapore night race so far with these spectacular new cars.